At NZ Golf Outlet we cater for every New Zealand golfer, beginner to low handicapper, men and women. We are based in Otaki and are 100% New Zealand owned with over fifty years of golf experience. 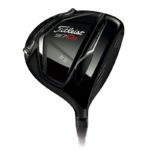 NZ Golf Outlet stock quality golf clubs, golf equipment (including trundlers and bags), Footjoy shoes and golf apparel from manufacturers including Titleist, TaylorMade, Clicgear, Sun Mountain and Footjoy. We will not be beaten on NZ prices and offer free freight on any order over $100. Alan Currie has been a member of the NZPGA since 1987 and has been a fully qualified club maker and club fitter for thirty years. He also offers a range of coaching options to help improve your game which now includes FlightScope, offering real-time monitoring of swing, club head and ball speeds. A large proportion of overseas purchases are inferior/illegal copies. NZ Golf Outlet is 100% kiwi owned and run. We are a real shop and look forward to meeting you. We look forward to helping you enjoying this great game. 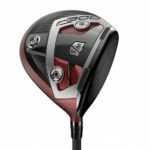 Introducing the Wilson C300 a revolutionary new driver with the power, feel and accuracy that only a Wilson Staff driver can deliver. Power holes generate explosive distance across the entire face by flexing more at impact. More flex equals greater ball speed. More ball speed means longer drives. 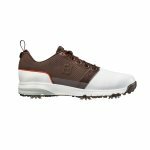 The lightweight cushioned fit-bed provides the ContourFIT with extreme underfoot comfort and heel support. Full rounded toe character, full across forefoot, standard instep and heel. Fine Tuned Foam 3.0, our softest and lightest compound, provides underfoot comfort and soft cushioning without compromising lateral support and stability. SuperLites XP are the perfect summer shoe, light, flexible and offer protection from morning dew and unexpected rain. Ultra lightweight with high performance mesh uppers. 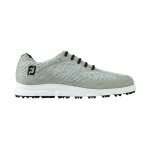 Enhanced cushioning for superior comfort and a lightweight cushioned fit-bed to provide extreme underfoot comfort and heel support.